I wrote this two years ago today. I find it interesting how time goes by, and our lives change. This Blog refers to something from my past coming back to haunt me, but I don’t even recall what that was. It must not have been that bad, because I’m here loving life. Another thing I noticed is, now when people ask me what I do, the first thing I tell them is, “I write.” That has come to the forefront for me, and my job is in the background. 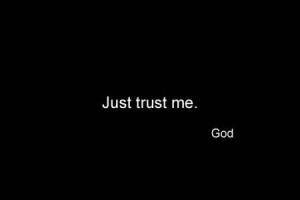 I also trust God more now, than a couple of years ago. Time goes by, we make choices, and here we are. I’m sitting here before I retire for the evening and just wanted to write. I love to write. People ask me what I do and I tell them about my jobs and then I add, “I’m a writer.” They find my job status interesting enough. Helping people with their businesses is a stretch and grow for me, but they always look up at me with a smile when I add the ‘writer’ part. It’s like they want to ask all of the questions rolling through their mind, but are hesitant. It’s fun. I found myself coming full circle today on trusting God. There was a season in my life, not that long ago, that I trusted Him just to wake me up the next day. He always did. Not knowing what direction my new life should go, I trusted Him for every step and sometimes every breath. I love the original blog. Waiting…..whew! That is tough, but as I wander through this life, I find that waiting though difficult is most rewarding. Many blessings!